Other academic awards are made to students studying veterinary procedures and systems in support of sheep welfare; and the use of wool, textiles, fashion and design. Currently we support courses at Heriot Watt, Huddersfield, the Scottish Agricultural College and Harper Adams, but this list is under regular review. 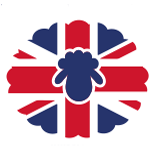 Shearing Medals and Prizes are awarded by the Master at the five major UK agricultural shows – the Royal Ulster Show, the Bath and West Show, the Great Yorkshire Show, the Royal Highland Show and the Royal Welsh Show. Please contact the Clerk if you would like to leave a legacy to The Trust or make charitable donations – see Contacts on Home Page. All applicants will receive an email confirming receipt of their application; successful applicants will receive a second email telling them where and when to report to the Registration Desk on the north end of the bridge outside Fishmongers Hall. At the registration desk they will be given their station and an update on timings (which may change throughout the day) and a label identifying their group. A marshal will collect them and take them to their start point on the bridge. The sheep will be brought to them and they will drive the sheep to the next station, where they relinquish the sheep to the next participants or to a shepherd. Please do not bring your own sheep! Please do not bring dogs! If you have to bring a dog, it must be kept on a lead at all times and kept away from the sheep runs and the sheep pens. The confirmation email also contains useful information about handling sheep, health and safety, animal welfare, spectators, the presentation of certificates, photography. 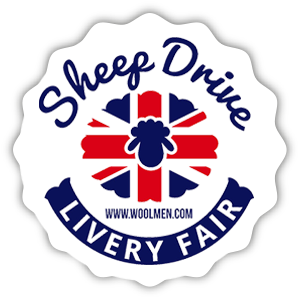 In the unlikely event that the Sheep Drive is cancelled for reasons beyond our control, after we have paid administrative costs, we will be happy to return your donation less a proportion to cover these costs.